All ESTATES AT STONEGATE homes currently listed for sale in San Antonio as of 04/26/2019 are shown below. You can change the search criteria at any time by pressing the 'Change Search' button below. "Luxury living on 1.6 acres in small gated community. Masterful architecture in this thoughtfully designed tree-studded property! Dramatic entry, separate rooms for every desire: Study, Exercise/Nursery, Library, Bar, Flex rooms (can be bedrooms),Steamroom, Cabana, Greenhouse, 3 garages (2 car +4 car + RV bldg) + boat parking. Heated pool w/waterfall; Patios, Veranda, + balcony, + 1200 SF 2nd floor Terrace for entertaining. 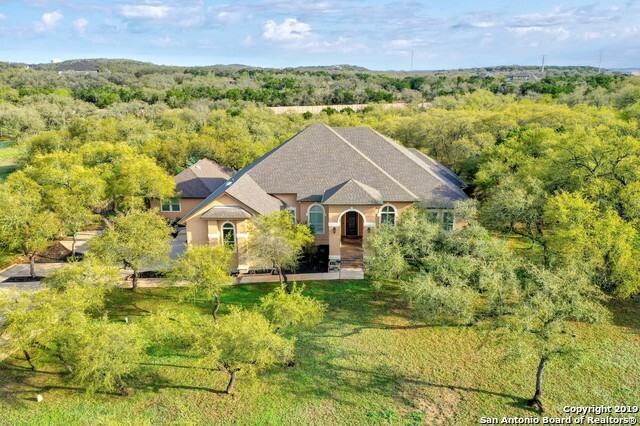 1850 SF walk-in attic storage; Appraisal on file for $800K (w/out furth"
"Hill Country elegance in this one story custom home. Light filled open floor plan with a study, large flex room, private dining & potential for dual masters. Chefs dream kitchen with granite counters, gourmet island, SS appliances, gas cooking & beautiful custom features. Superb master suite with high ceilings & spa like master bath. Private 766 sq ft casita that is perfect for visiting family or guests! All of this on over two acres that has tons of beautiful trees!! Schedule your showing today"